Great script to use for your website. 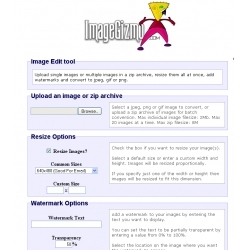 Many visors are looking for an easy way to edit their images and that's what your website using this script will offer them. 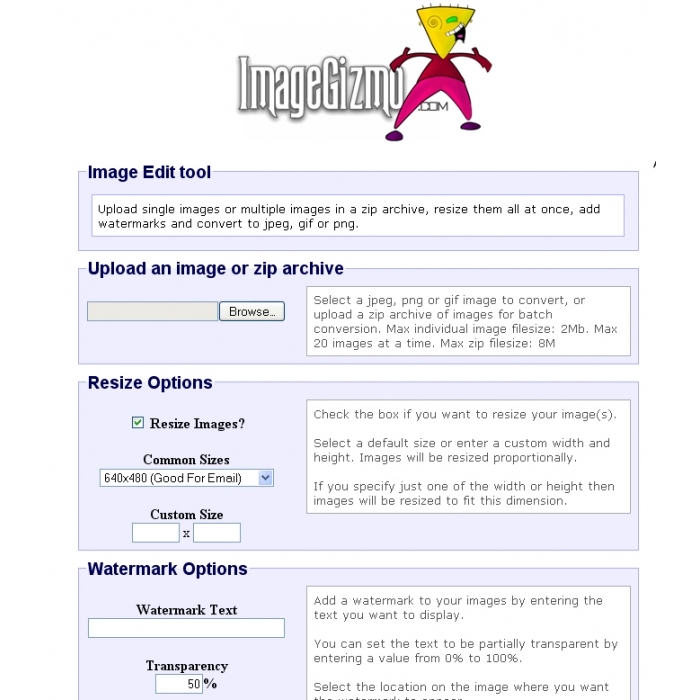 Upload single images or multiple images in a zip archive, resize them all at once, add watermarks and convert to jpeg, gif or png. Installation is super easy and all you need installed on your linux server is php 4 or 5 – very common software supported by 99% of the hosting companies.